This was an amazing book. 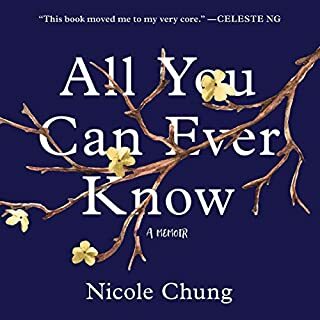 So well thought out, organized, and written.The author is very honest about her experiences and her feelings, and tackles some very sensitive issues for birth families, adoptive families, and adoptees. I am a white adoptive parent of a transracial child and I hung on every word, wanting to hear everything the author experienced and how she dealt with her experiences and decisions. I believe that it cannot be stressed enough that white parents raising a child of color need to make every effort to connect their child with their culture and celebrate their culture with them. The cultural identity of a child is everything, and can affect the way a child feels about themselves throughout their lives. A special thank you to this author for being able to communicate so many important things without delving into the anger and disappointment she must have felt at times. I will be recommending this book to people who are considering Adoption and Foster Care. I teach classes to help people prepare for this, and also co-lead a group for adoptive parents. I think this book can be very helpful in demonstrating the importance of cultural issues in adoption and Foster Care. Highly recommend, even if your family has not been touched by adoption. Loved this! Read it twice! The parts of the narration spoken with an African accent were excellent and made the story more genuine. I enjoyed this book and have enjoyed this author's other writing as well. 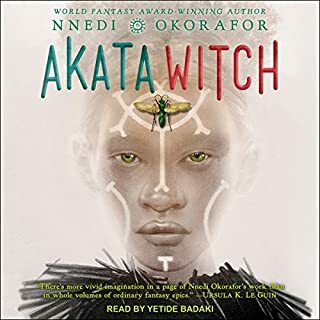 If you are looking for a "Nigerian Harry Potter" type of story, as this book has been described by some, you may be disappointed and not appreciate the uniqueness of this story and its characters. but it is every bit worth your time, so strongly recommend that you read this or Listen by audiobook. 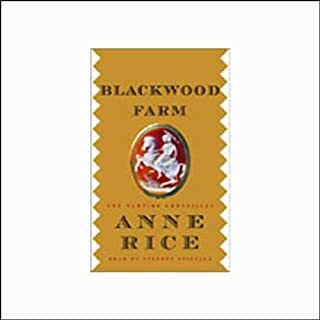 The usual excellence from Anne Rice!! Oh how I have missed Anne Rice's classic characters, beautiful descriptions and tantalizing storylines! I didn't realize I had missed this book in the series. 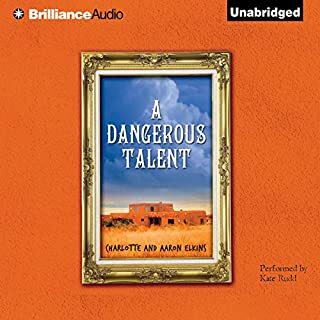 Listened to the audio book and it was wonderful. narration was excellent. Really loved the relationship that developed between Lestat and the main character. Once again Anne, you've left me thirsting for more! I'm already off to the next in the series, "Blood Canticle". Strongly recommend this book series. 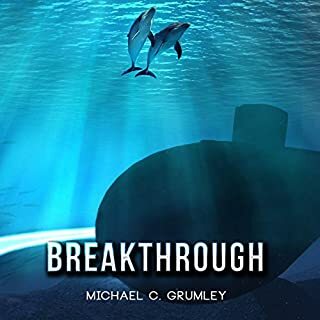 Once you read the first book, "Breakthrough", you may want to have each subsequent book available on your Kindle or audiobooks, or as a hard copy, because you will want to keep reading! These books, which are sequential, will attract anyone who enjoys intelligent, well written novels, with a dose of science, interspecies communication, military operations (with Navy SEALs! ), a touch of romance, and of course, implications regarding alien civilizations. You will not regret getting hooked on this "Breakthrough" series! Thoroughly enjoyed this book and can't wait to read the next one in the series. Yup, I'm hooked, which speaks to the skill of this author's writing, and how engaging the story and continuing characters are. I'm looking forward to more of his books! I'm hooked! Can't wait to read the series! At first, I had trouble getting through the beginning. It was very dry (at least for me), focusing on setting the stage for the story and characters, and a lot of technical information. I even put it aside and started reading another book. This is why I only rated the story with 4 stars. But I returned to start again, and although it took a little while to get to the important action and plot of the story, I now have to say it was worth waiting for. After that, it didn't take long for me to get hooked and want to continue reading. Some of the story is quite credible and even the Sci-Fi portion of the story is subtle enough to be possibly credible. And I appreciate that the Sci-Fi component of the story was not way over the top, allowing me to appreciate the main characters and their development throughout the story. 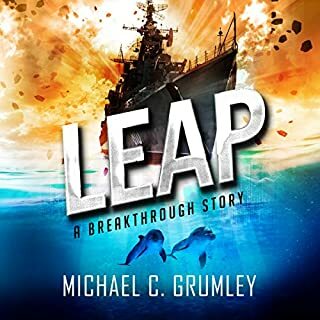 I'm looking forward to continuing with this series and can't wait to start with the next book, "Leap". 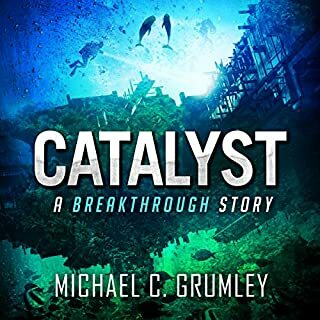 In the Audio version of "Breakthrough", at the very end, the author offers us the first few chapters of this next book to keep us interested. Although I appreciate this, it wasn't necessary. I was already hooked and looking forward to the next book. I've already downloaded it! When a mysterious boat explosion - and the discovery of unidentifiable body parts - keeps her anchored to the present, Anna Pigeon finds crimes of past and present closing in on her. A tangled web that was woven before she arrived begins to threaten her sanity and her life. 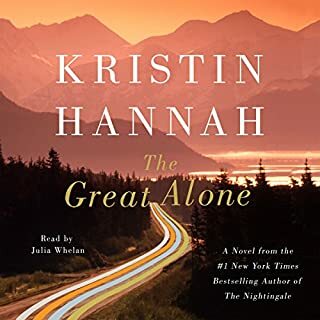 Cut off from the mainland by miles of water, poor phone service, and sketchy radio contact, and aided by one law-enforcement ranger, Anna must find answers or weather a storm to rival the hurricanes for which the islands are famous. 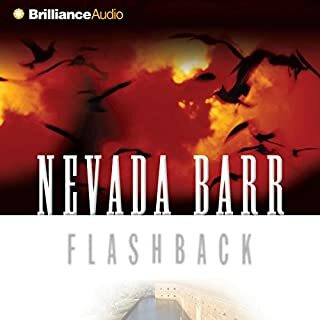 Enjoyed this book as much as I've enjoyed all of the other Nevada Barr novels I've had the good sense to read. Just when I start to think, this can't be as good as the last one..... I am surprised again and swept up into the tension and suspense that Ms Barr is so good at. She also never disappoints at weaving in the beauty and importance of our national parks. Now more than ever, I so appreciate her loyalty and dedication to National Parks! I became quickly immersed in this story, hanging onto every detail about the beauty and savagery of Alaska. 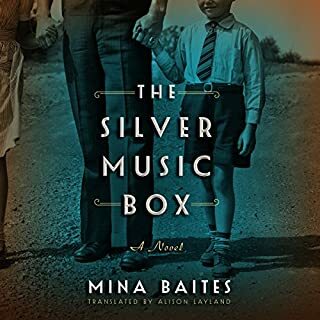 But it's also about a family's love, trying desperately to heal the damage of their husband and father's traumatic experience as a POW from the Vietnam War. At various times both exhilarating and tragic, expect to need a box of Kleenex nearby as the story progresses. Strongly recommend this powerful novel, unless you are likely to be triggered by some frighteningly accurate descriptions of an extremely abusive relationship. I cried at the end, despite the hopefulness of redemption offered at the conclusion of this story. Narration was perfect and excellent! Entertaining story/ novel. Like the way it used art and art history throughout. Narration was okay, but very little difference in the sound of different characters voices. Terrible Boston accent!! although the character was supposed to be using a fake Boston accent so maybe it was okay considering this. Both heartbreaking and inspirational. Loved it. Didn't realize how attached I had become to this novel until it was finished. Beautifully written and narrated.